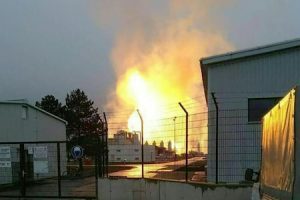 BEIJING(Reuters) – A plant explosion in China’s Jiangsu province killed seven people on Sunday, authorities said, the second deadly blast in the province this month as Beijing begins a nationwide industrial safety inspection campaign. 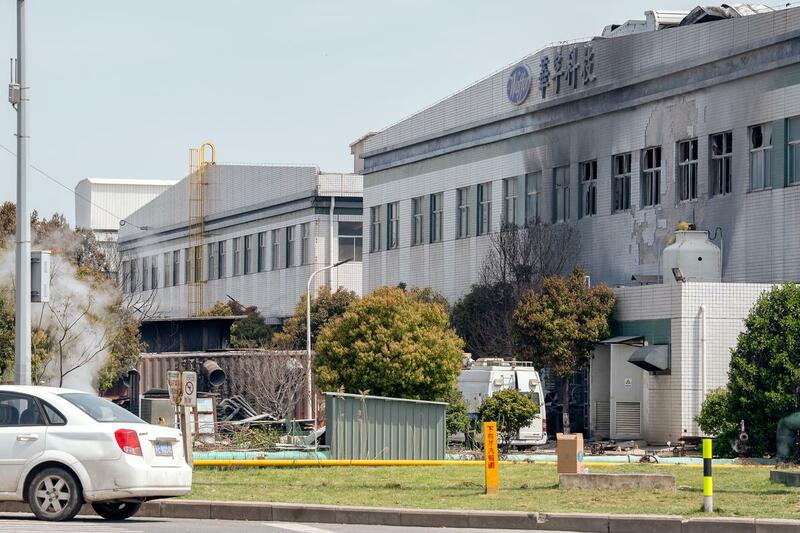 The blast involved a container of scrap metal that exploded in the outdoor yard of a metal-molding plant in a bonded area in the city of Kunshan, causing the plant to catch fire, the local government said on its official Weibo account on Sunday. “The cause of the incident is being investigated,” it said. Five people were also injured, one severely, in the blast. Plant owner Kunshan Waffer Technology Corp Ltd, a Taiwan-based maker of magnesium alloy injection molding products and aluminum alloy die castings, said the incident would reduce the company’s April revenue by about 40-50 percent. The firm said it could not tell when production would be resumed in the plant in Kunshan. Shares in the company dropped more than nine percent on Monday morning. Sunday’s incident follows a deadly blast on March 21 at a chemical park in the city of Yancheng, also in Jiangsu province, that killed 78 people and focused attention on safety at small chemical firms. The country has a history of major work safety accidents which often trigger inspection campaigns aimed at rooting out violations and punishing officials for cutting corners or failing their supervisory duties. China has clamped down on scrap metal imports as part of an environmental campaign against “foreign garbage”, tightening supply sources for metal producers, as it aims to cut solid waste imports by the end of 2020.